We can offer you the choice of two services for your child; either a Service of Thanksgiving or a Baptism Service. For parents who want their child to join the church family, and to grow in the Christian faith, we can offer this service when a parent lives within our parish, is on our Church Electoral Roll, or if there is a special connection with St John’s Church. 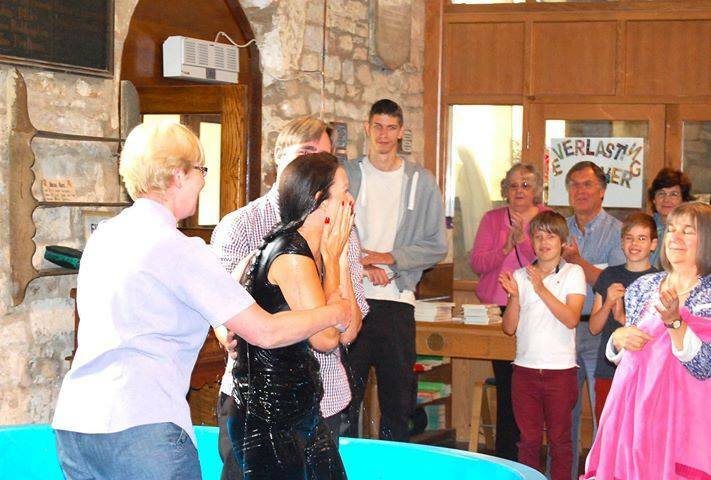 During a baptism service parents and godparents make promises for themselves and on behalf of the child being baptised, including a commitment to continue bringing their child to church. We are committed to help prepare and support you with these promises. Baptisms take place in a separate service on a Sunday afternoon at 12.15pm. We hope that this enables us to offer an excellent welcome for our baptism families and their guests. For parents who want to celebrate the birth of their child and to ask for God’s blessing, but who do not feel able to make the baptism promises, or who wish to leave the child to make the decision for themselves when older, we are pleased to offer this service to all families. It can usually be arranged quickly. A thanksgiving service will usually take place in our main Sunday morning service at 10.30am. The choice of service is up to you, and you may choose to have both a Baptism service and a Thanksgiving Service. We would be delighted to hear from you if you are interested in either service for your child, or if you would like to discuss this further. 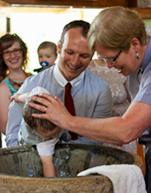 Baptism is a symbol of being reborn into new life through God's spirit. It is for people of all ages. If you are interested in finding out more about baptism for yourself or someone in your family we would love to talk to you about it. Please contact us on 07711 240227 or email us at enquiries@stjohnhillmorton.org.uk.